Last night two good quilty things happened. 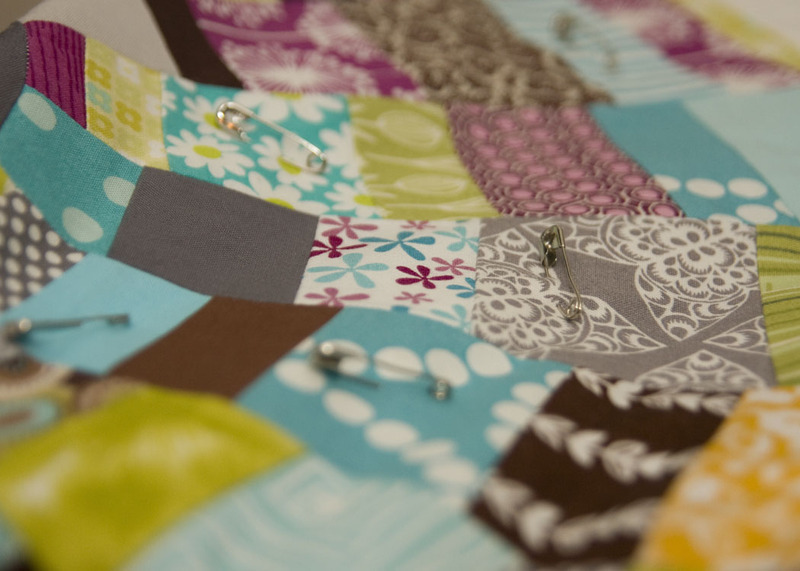 I basted the Stargate quilt, although I think I'll keep the final layout a secret until I've finished quilting it. A second good thing is that I was named as a runner up in the Win It To Be In It competition at Fat Quarterly. Scroll down to the bottom of their winners post and you'll see my name and pillow at the end of the post! It made my night. I entered almost three months ago and completely forgot about it so it was a nice surprise. Nice job, Kati! I absolutely LOVE your pillow. You'll have to show us the fun fabrics you won once you get them. Congratulations!! So exciting - I saw it first over at fat quarterly - beautiful! 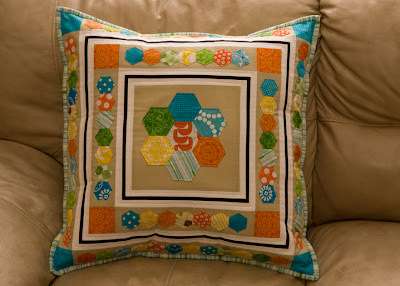 I have been mulling hexies for my bee month - and your pillow is some great inspiration! Can't wait to see the Stargate! Congrats! I love that pillow! Congratulations! And I love that pillow!!! Yay yay yay!! Congrats, that pillow rocks. And I can't wait to see your final design on the stargate, I'm sure it will be fabulous!! Beautiful! I love that pillow design! Congratulations!! I just love that pillow! Congrats! I read that over on the Fat Quarterly site and was quite excited for you! Tacha's a fabulous designer and you did her hexies proud. I saw you had won over there and was SO excited for you! Your pillows are so cute. COngratulations on your win! 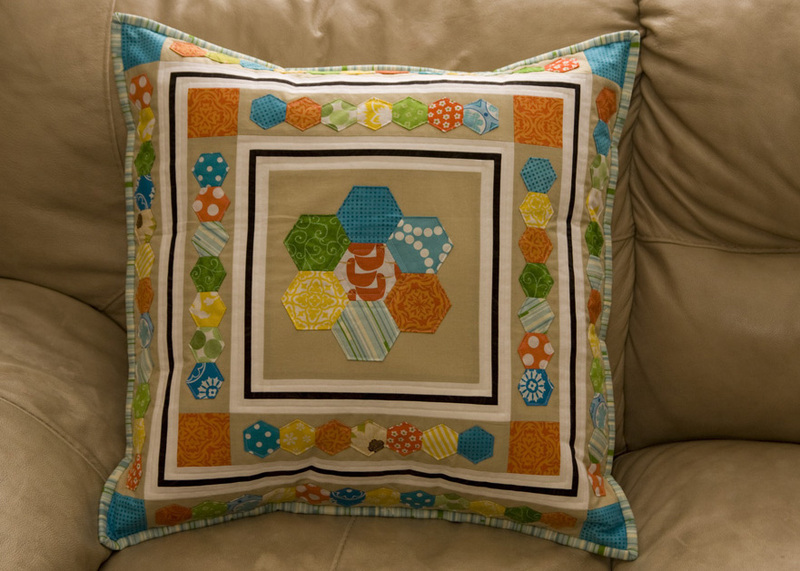 Hexies have been calling me for a while now, and your pillow might be what I need to get started! I saw your name on the winners list! Congrats. Very well deserved. Congrats! I saw your name on the fat quarterly post before I even read this one. A well-deserved honour :).